I’ve been spinning. A lot. 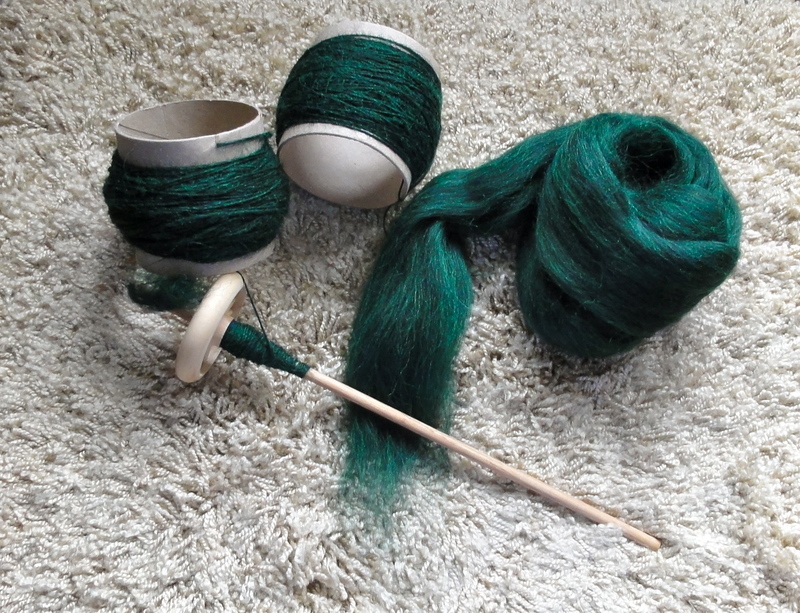 I am nearly finished spinning up the 100 grams of Knit Picks Wool of the Andes roving in Aurora Heather. I’ve been spinning it up on my little guy, and I have to say that I am a little disappointed with how this spindle performs when the cop gets large. The spindle slows down a lot. I ended up winding the yarn onto cardboard cores when the spindle came to a virtual standstill. I guess the yarn was just too heavy for the spindle. Anyway, here is my progress as of this very moment. I think I have gotten the hang of spindling now. These singles are much more uniform than my previous efforts, and I am able to spin with the spindle suspended instead of using park and draft. The spinning goes a lot faster that way. When I finish the rest of this fiber, I will ply the yarn. I should have enough 2-ply to knit a hat.